TODAY is the FINAL DAY for the Class of 2021 to sell window decals as a Prom/Post Prom fundraiser. Forms are available in the office. Scholastic Bowl is not pictured on the form but you may purchase a decal depicting Scholastic Bowl, just write it in on your form. 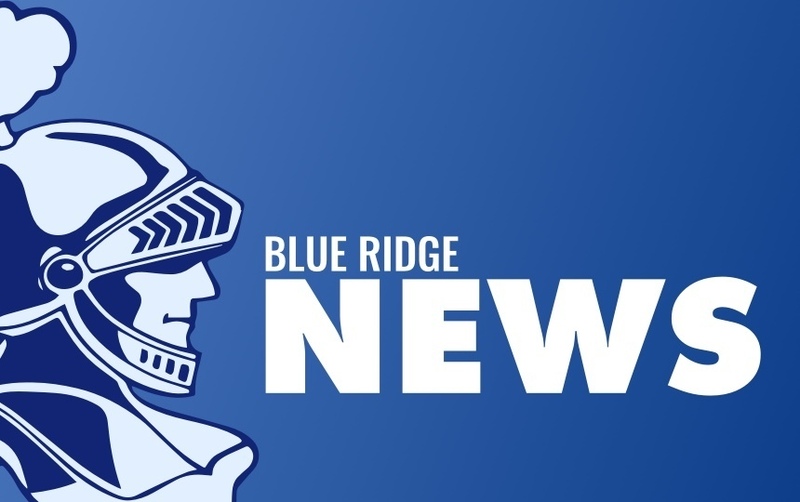 Decals are available for all Blue Ridge sports/activities! TODAY - before lunch - you get to win treats and test your knowledge about the risks/statistics of alcohol use. Before lunch today, magnets will be placed on random lockers throughout the halls. Each magnet will contain a question about the risks of alcohol use. There will be a table set up in the commons during lunch where, if you answer your question correctly, you can win treats. Be on the lookout for the magnets and remember, just because the magnet is on someone else’s locker, doesn’t mean you can’t go for it. This contest is first come, first served. This is sponsored by Piatt County Mental Health. There will be a boys track meeting Tuesday at Lunch in the new gym at 12:35 for any boy wanting to go out for track. As of TODAY, only 10 tickets for the Valentines Dance have been sold. If 40 tickets are not sold by this Thursday, the dance will be cancelled. Tickets can be purchased during +lunch. See a Spanish Club member if interested! The last day to order Valentine’s Day Carnations for your sweetie is TUESDAY in the commons at lunch. Flowers will be delivered 8th hour on Valentine's Day. Purchase 1 flower for $2 or 3 for $5. Proceeds benefit the Sunshine Center. The Spring Sports parent meeting will be on Wednesday, February 13th at 6pm in the new gym. Please plan to attend! The next FFA meeting is Wednesday in the Ag room. Committees are at 6pm and the chapter meeting is at 7pm. HS book club will meet during lunch on Thursday, Feb 14th. The CEO Field Trip for most of our Junior Students has been scheduled for this Thursday. Next week is National FFA Week and next Wednesday is Truck/Tractor Day. Anyone who is 16 years old and wants to participate is more than welcome! Everyone must complete a form, found outside the Ag Room on the bulletin board, and turn it in by Thursday, February 14th. There is no fee for FFA members to participate, Non-FFA members it is $5 that will go towards sending a member to FFA Leadership Camp. See an FFA Officer or Ms. Meisner. It’s pancake time again! The Class of 2022 is selling Applebee’s pancake breakfast tickets for $5 each. It is on Saturday, Feb 23rd from 8-10 a.m. at the Champaign location on North Prospect. Congrats to the Varsity Scholastic Bowl team for going 7-2 at the 16 team Winnebago Invite on Saturday capturing the consolation championship. Congrats to Tyler Maxwell who ended the tourney as the 5th top scorer of the tourney with 48 toss-ups. In the morning the knights Started off losing to tourney champions Winnebago 190-365 but rebounded to defeat Mendota 330-145, Maine East 265-245, Kaneland 250-175, Hinkley-Big Rock 305-45, Guilford B 230-70 and then losing to Buffalo Grove A 190-305 to round out the morning. In the afternoon the knights rebounded to defeat Morrison 315-110 and Buffalo Grove B 280-185. Others contributing in toss-ups was Luke Nichols with 16 followed by Nadia Beadle with 10, Zach Cahoe with 8, Josephine Aldrich with 5 and Mitchell Houser with 2. Both Varsity and JV teams are back in action tonight vs. Cerro Gordo and Bement with the first toss-up at 4:30 pm. Go Knights! Congratulations to the Boys Basketball team on their wins on Friday night vs. Sangamon Valley and Saturday’s win over Cerro Gordo/Bement. Way to go Knights! Congratulations to Nick Becker for being awarded the “Albs Award” on Saturday in honor of Trooper Ryan Albin. Way to go Nick!